Top of the morning to ya, lads and lassies! My wee four-legged bonnie lass is doing an Irish jig in anticipation of St. Pattie’s Day weekend! By the luck of the Irish, we found some literary treasures under the rainbow. So grab yourself a cuppa—or perhaps an Irish whiskey—and curl up with these cozy little whodunits! The gist: As with all our hapless sleuths in the cozy mystery genre, Eden Elliott is at a crossroads in her life. With nothing anchoring her to the city life (lucky! ), she decides to take a prolonged sabbatical in a quaint Scottish hamlet, where she can blissfully write her little heart out and complete her first novel. Lo and behold a worker is found dead—stabbed by his own sheers—on her new friend’s sheep farm. Someone is out to sabotage the farm and all evidence points to the new owner. It’s up to our intrepid aspiring novelist to untangle the twisted web of nefarious family members to save her friend from a life in prison—or worse! 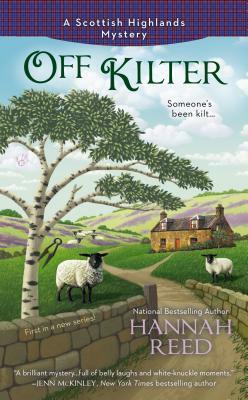 What worked: I picked up this book so I could whisk myself away to a quiet Scottish village with quirky characters, cozy bars with crackling fireplaces, and miles of rolling green pastures dotted with fluffy white sheep. This solid little mystery delivered all that in spades—and I can’t wait to read the next installment in this series to see if Eden will eventually fall for the town’s most eligible bachelor and set down roots in the lovely little hamlet of GlenKillen. What irked me: Considering that Eden went to a tiny little town to stay put and write a book, why did she feel the need to rent a car—especially since she had to learn to drive stick shift on dangerous hairpin roads? This was a golden opportunity for her to go without a car and travel around on a bike like J.B. Fletcher. How cool would that be? Overall: This is a great first installment to a fun little mystery series for those of us who enjoy traveling the world variously through books! Eden is a likeable, yet flawed, character who clearly has an interesting journey ahead filled with romance and dead bodies! The gist: Siobhán O’Sullivan is struggling to keep her family bistro—and her five siblings—afloat in the aftermath of her parents’ fatal car accident. Things go from bad to worse when a dead body is found inside the bistro and all evidence points to her alcoholic brother. Someone is clearly out to harm the “O’Sullivan Six,” and it’s up to our brown bread-baking sleuth to ferret out the killer before she loses her brother and the family business. What worked: Siobhán is a girl after my own heart. When she’s not baking brown bread (whatever that is) or keeping her five siblings in line, she’s visiting the auto shop and pining over a pink scooter. I can totally relate! She’s also a lioness when it comes to protecting her brood. It’ll be interesting to see what pans out in the future. Will she fulfill her dreams of going off to college and living the big city life? Or will she fall in love with the hot detective and stay put in Kilbane? There’s also the hint of a love triangle forming with an entrepreneurial Yank. I’m a sucker for these dangling carrots so I’m off to the bookstore to get my next fix! What irked me: SO MANY CHARACTERS! This is a constant struggle with cozy mysteries. Some books are easier to follow than others, but this one revolves around a family of six—plus a large cast of townies. Also, what in tarnations is brown bread? It can’t be just boring ol’ wheat bread, right? I need lots of savory details! Overall: Another solid whodunit with a plot-twist ending I didn’t see coming! It’s hard to pull the Irish wool over my eyes, but this author managed to divert my suspicions with some clever red herrings. 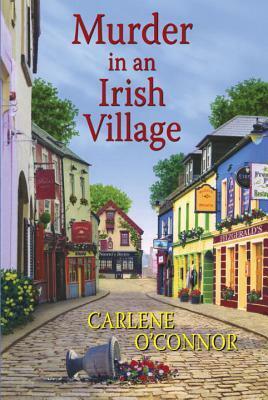 This is a fun little Irish getaway filled with lovable characters, small town charm, dangerous encounters and a dash of romance!